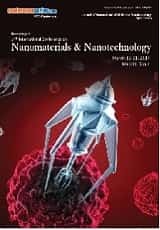 Conference Series invites all the experts and researchers from the Nanotechnology and Materials Engineering sector all over the world to attend “31st European Congress on Nanotechnology and Materials engineering“(Nano Mat 2019) which is going to be held on October 03-04, 2019 at Paris, France. 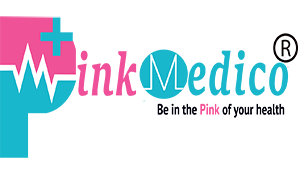 Nano Mat 2019 conference includes Keynote presentations, Oral talks, Poster Presentations, Workshops, and Exhibitors. Nanotechnology and Materials Engineering are forthcoming use in healthcare, electronics, cosmetics, and other areas. Nanomaterials are the elements with the finest measurement of size 10-9 meter. The theme of the conference is about “Making Superior Improvements in Nanotech and Materials Engineering to reach new heights”. During the conference International symposiums, Panel Discussion and B2B meetings are organized and also International workshops are conducted based on the specific topics related to Nanotechnology and Materials Engineering. The properties of many materials change when the size scale of their dimensions approaches nanometers is the foremost interesting things about nanotechnology. Materials scientists work to apprehend those property changes and utilize them in the processing and manufacture of materials at the Nanoscale. The field of materials science covers the discovery, characterization, properties, and quit-use of Nanoscale materials. The most other engineering majors work with Nanotechnology, but the heart of nanotechnology is Materials Science and Materials Engineering across all the disciples. Nano Mat 2019 conference is also comprised of Best Post Awards, Best Oral Presentation Awards, Young Researchers Forums (YRF) and also Video Presentation by experts. We are glad to welcome you all to join and register for the “31st European Congress on Nanotechnology and Materials Engineering” which is going to be held during October 03-04, 2019 Paris, France. Nano Mat 2019 offers a great opportunity to make new contacts in the field of Nanotechnology and Materials Engineering which involves the designs and discoveries of new materials. The enlightenment originated when researchers began to use analytical thinking from Physics, Chemistry, and Engineering. 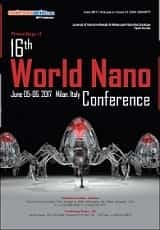 The conference will provide a platform to share new ideas relating to recent developments in Nanotechnology. Material Engineering Scientists and researchers will come to know about more information regarding their research subjects and will be able to establish their view at a global level. Students from Nanotechnology, Chemical, and Material Engineering. The Nano Mat 2019 conference will be useful to participants both from the Academics and Industry working in all the domains of Nanotechnology and Materials Engineering. The Nano Mat 2019 is especially intended for Investors, Entrepreneur, Capitalists, Venture and other readers with a need to know where the Nanotechnology market is headed in the future. The members around the globe focused on learning about the Pharmaceutical Nanotechnology and the developments in the most recent techniques also newest updates in this field. 31st European Congress on Nanotechnology & Materials Engineering October 25-26, 2018 Budapest, Hungary; Nano Science and Nano Technology August 22-23, 2018 Tokyo, Japan; Nano World: Current and Future Perspectives in Nanotechnology June 06-07, 2018 Baltimore, Maryland, USA; 20th Asia Pacific Nanotechnology Congress October 15-16, 2018 Osaka, Japan; 21st World Nanotechnology Congress October 17-18, 2018 Dubai, UAE; 25th Nano Congress for Future Advancements August 16-18, 2018 Dublin, Ireland. 31st European Congress on Nanotechnology & Materials Engineering October 25-26, 2018 Budapest, Hungary; Nanomaterials and Nanotechnology September 13-14, 2018 Shanghai, China; Advanced Materials and Nanotechnology October 22-24, 2018, Osaka, Japan; Advanced Materials Science & Nano Technology August 27-29, 2018 Dubai, UAE; Advanced Materials & Nanotechnology September 04-06, 2018 Zurich, Switzerland; Polymer Science and Engineering October 15-16, 2018 Las Vegas, USA. Nanoelectronics state to the use of nanotechnology in electronic components. The term covers a diverse set of devices and materials, with the similar characteristic that they are so small that inter-atomic relations and substantial mechanical properties need to be deliberate extensively. Nanoelectronics is distinct as nanotechnology which agrees the integration of morally electronic devices, electronic chips and circuits. This type of technology mixture can be described as the ‘More than Moore’ field of expansion. The nanoscale proportions of nanoelectronic components for systems of giga-scale intricacy measured on a chip or in a package. The researchers are exploring different way for designing and producing logic circuits by incorporating photosensitive organic particles into tiny molecules of semiconductor material called quantum dots. This improvement of nanoelectronic components are called as ‘Beyond CMOS’ domain of development. The digital system Integrated with Radio-Frequency(RF)/analog circuits. 31st European Congress on Nanotechnology & Materials Engineering October 25-26, 2018 Budapest, Hungary; Nano Science and Nano Technology August 22-23, 2018 Tokyo, Japan; Advanced Materials Science & Nano Technology August 27-29, 2018 Dubai, UAE; Materials Research and Technology February 19-20, 2018 Paris, France; 21st World Nanotechnology Congress October 17-18, 2018 Dubai, UAE. 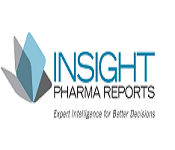 Pharmaceutical Nanotechnology compacts with developing forthcoming technologies for improving personalized resolutions for drug delivery systems. Pharmaceutical Nanotechnology encompass applications of nanoscience to pharmacy as nanomaterials, and as campaigns like imaging, diagnostic, drug delivery and biosensors. The drug delivery system clearly influences the rate of absorption, metabolism, distribution, excretion of the drug or other related chemical substances in the body. In accumulation to this the drug delivery system also allows the drug to bind to its target receptor and influence that receptor’s signaling and movement. Stimulatingly pharmaceutical sciences are using nanoparticles to reduce toxicity and side effects of drugs and up to recently did not recognize that carrier systems themselves may enforce risks to the patient. pharmaceuticals have been associated with different types of dendrimers which are large and complex molecules to fight against cancer. Drug delivery and related pharmaceutical enlarged in the context of nanomedicine should be regarded as science and technology of nanometer scale composite systems, comprising of at least two components, one of which is a pharmaceutically active ingredient. 31st European Congress on Nanotechnology & Materials Engineering October 25-26, 2018 Budapest, Hungary; Nano Science and Nano Technology August 22-23, 2018 Tokyo, Japan; 24th World Nano Conference May 07-08, 2018 Rome, Italy; 16th World Medical Nanotechnology Congress August 20-21, 2018 Tokyo, Japan; 21st World Nanotechnology Congress October 17-18, 2018 Dubai, UAE; Polymer Science and Engineering October 15-16, 2018 Las Vegas, USA. 31st European Congress on Nanotechnology & Materials Engineering October 25-26, 2018 Budapest, Hungary; 20th Asia Pacific Nanotechnology Congress October 15-16, 2018 Osaka, Japan; 21st World Nanotechnology Congress October 17-18, 2018 Dubai, UAE; 25th Nano Congress for Future Advancements August 16-18, 2018 Dublin, Ireland; Advanced Materials Science & Nano Technology August 27-29, 2018 Dubai, UAE; Computational and Structural materials November 7-8, 2018 Atlanta, USA. Materials Processing and Manufacturing focuses on manufacturing of materials science and materials processing primarily for engineering and technology . The writing also assists as a beneficial reference on materials science for the practitioner involved in manufacturing. Proficiency in materials science goes well beyond accepting the possessions of materials and how those properties can be functioned. Materials scientists must also be proficient at emerging cost-effective methods to amalgamate process and fabricate radical materials that can meet the hassles of a quickly varying commercial marketplace. Scientists in Ohio State’s Department of Materials Science and Engineering are dedicated to this assignment through a wide range of programs. Some of them are Semiconductor process modeling, Phase transformation, Fabrication and testing of advanced micro composite materials, High-temperature intermetallic materials, Modeling of the chemical vapor deposition process. 31st European Congress on Nanotechnology & Materials Engineering October 25-26, 2018 Budapest, Hungary; Nano World: Current and Future Perspectives in Nanotechnology June 06-07, 2018 Baltimore, Maryland, USA; Advanced Materials and Nanotechnology October 22-24, 2018, Osaka, Japan; Advanced Materials Science & Nano Technology August 27-29, 2018 Dubai, UAE; Emerging Materials and Nanotechnology June 25-26, 2018 Vancouver, Canada. 31st European Congress on Nanotechnology & Materials Engineering October 25-26, 2018 Budapest, Hungary; Nano Science and Nano Technology August 22-23, 2018 Tokyo, Japan; 16th World Medical Nanotechnology Congress August 20-21, 2018 Tokyo, Japan; 21st World Nanotechnology Congress October 17-18, 2018 Dubai, UAE; Advanced Materials Science & Nano Technology August 27-29, 2018 Dubai, UAE; Polymer Science and Engineering October 15-16, 2018 Las Vegas, USA. 31st European Congress on Nanotechnology & Materials Engineering October 25-26, 2018 Budapest, Hungary; Nano World: Current and Future Perspectives in Nanotechnology June 06-07, 2018 Baltimore, Maryland, USA; 21st World Nanotechnology Congress October 17-18, 2018 Dubai, UAE; 25th Nano Congress for Future Advancements August 16-18, 2018 Dublin, Ireland; Advanced Materials Science & Nano Technology August 27-29, 2018 Dubai, UAE; Computational and Structural materials November 7-8, 2018 Atlanta, USA. 31st European Congress on Nanotechnology & Materials Engineering October 25-26, 2018 Budapest, Hungary; Nano World: Current and Future Perspectives in Nanotechnology June 06-07, 2018 Baltimore, Maryland, USA; 20th Asia Pacific Nanotechnology Congress October 15-16, 2018 Osaka, Japan; 16th World Medical Nanotechnology Congress August 20-21, 2018 Tokyo, Japan; Advanced Materials Science & Nano Technology August 27-29, 2018 Dubai, UAE. Nano-forensics is an entirely novel part of the forensic science accompanied with the enlargement of nanosensors, nanotechnical methods for real-time crime scene investigation and terrorist activity inquiries, detecting the presence of explosive gases, biological mediators and filtrates. Forensic Science is an expansive field of subspecialties which use different techniques amended from the natural sciences to acquire criminal or further legitimate evidence. Nanotechnology is beginning to have an influence on the holding of evidence at crime scenes, its examination in the laboratory and its presentation in the court of law. Application of nanotechnology is possible to augment the capability to toxic materials, forensic evidence in tissue, materials and soil. 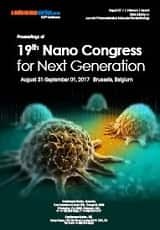 Nano-analysis is generally used in the detection of crimes in nanotechnology which comprises some of the techniques like Scanning Electron Microscopy, Transmission Electron Microscopy, Atomic Force Microscopy, Dynamic Light Scattering and Raman Microscopy. These techniques assist forensic scientists in two different ways, one is by making it conceivable to analyze nano-scaled trials and the other by making use of the exact effects of nanomaterial to recognize and assemble evidence, which would not have been possible by earlier techniques. Some of the novel approaches that ease the way for forensic scientists are DNA extraction from palm-prints, gun residues, fingerprints, explosives and heavy metals which provide conclusive evidence. 31st European Congress on Nanotechnology & Materials Engineering October 25-26, 2018 Budapest, Hungary; Nano Science and Nano Technology August 22-23, 2018 Tokyo, Japan; Nano World: Current and Future Perspectives in Nanotechnology June 06-07, 2018 Baltimore, Maryland, USA; 20th Asia Pacific Nanotechnology Congress October 15-16, 2018 Osaka, Japan; 21st World Nanotechnology Congress October 17-18, 2018 Dubai, UAE; 25th Nano Congress for Future Advancements August 16-18, 2018 Dublin, Ireland; Polymer Science and Engineering October 15-16, 2018 Las Vegas, USA. Nanotechnology is doing very well abroad in nations such as USA, UK, Singapore, Germany, and China etc. in terms of R&D. There has been significant development towards the usage of Nanotechnology in cosmetics, food, and textiles. Nanomedicine is still in the R&D stage and widespread growth is yet to be expected and intensive research is being conducted in breakneck speed. Materials Engineering is designed to propose comprehensive settings that report topical improvements and new strategies for expansion of innovative materials for global necessities with an objective to connect a dialogue between industries and academic administrations and knowledge transmission from research to industry. Surface Science and Engineering, Biomaterials and Tissue Engineering, Materials Engineering and Engineering, Energy Materials, Mining and Metallurgy, Materials Chemistry, Polymer Technology, Emerging fields in Materials Engineering and Nanotechnology are the essential areas which is covered by Materials Engineering. The organizing committee has prepared an energizing and informative conference program which includes plenary lectures, symposia and workshops on Nanotechnology, Materials Engineering, and a variety of topics, poster presentations, and various programs for participants from all around the Globe. We invite you to join us at the Nano Mat 2019, where you will be sure to have a communicative experience with intellectuals from all around the world. All members of the Nano Mat Conferences 2019 organizing committee look forward to meeting you in Budapest, Hungary. It has a huge scope in the upcoming generations. It is the third highest successful field when compared with IT and the Internet. Nanotechnology has the potential to turn out to be a more important revolutionary force for business than the industrial revolution or the information technology revolution. In fact, many believe that the combined impact of both the industrial and information revolution may approach the magnitude of change that could result from the commercialization of Nanotechnology. In developed countries research is going on for reducing the weight and increasing the strength of the material which will be required in the aeronautics and automotive industry. Materials Engineering is an interdisciplinary discipline and frequently labeled as Materials Science and Engineering, which includes the discovery and designing of new materials, with much prominence on solids. Today’s research that contracts with materials science pursue to comprehend and influence the behavior of materials at a variety of measurement scales, ranging from the atomic to the macroscopic levels, making use of practical, theoretical or computational tools as probes. The experimental researches include Nano-science, biological materials, high-thermal materials, the interaction of laser-materials and electrochemical methods with several applications from medicine to renewable energy. In Eastern Europe, Materials Services is one of the leading materials trading and processing specialists. With companies in Poland, the Czech Republic, Hungary, Slovakia, Romania, Serbia, Bulgaria and Turkey, plus sales offices in Croatia and Lithuania.